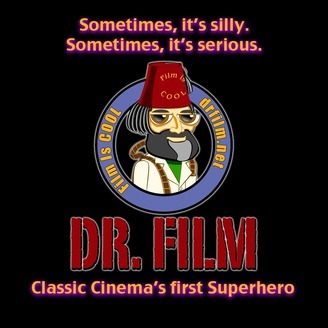 The adventures of classic film's first superhero, Dr. Film, and his alter-ego, Eric, with his vault assistant, Anamorphia. Have a question about old films? Want to hear various people discuss their work? A hodgepodge of topics, all strange and entertaining. 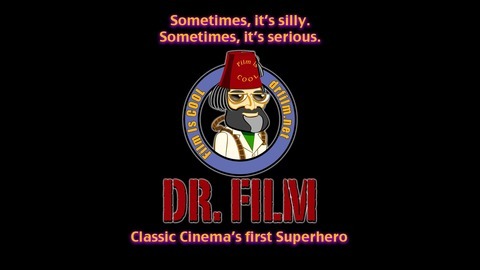 Eric tries to see a new movie but turns into Dr. Film in frustration. He then answers questions with Anamorphia.